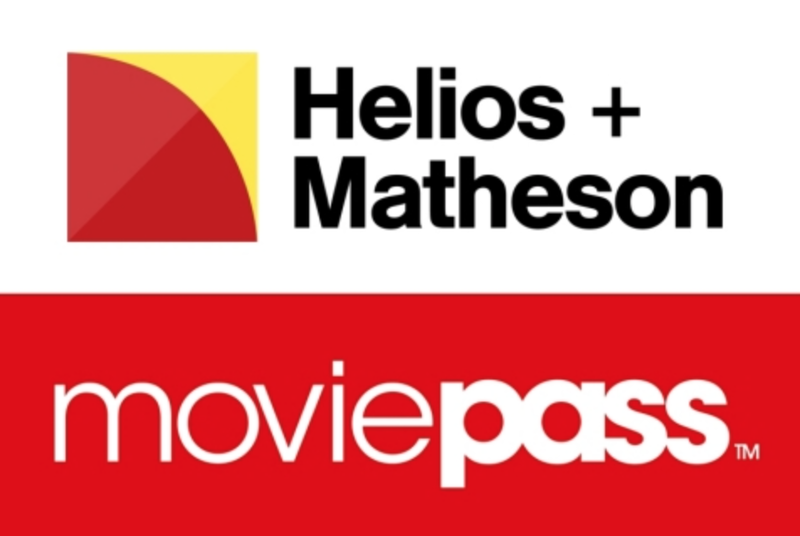 PARK CITY, Utah & NEW YORK--(BUSINESS WIRE)--MoviePass™, the nation's premier movie-theater subscription service and a majority-owned subsidiary of Helios and Matheson Analytics Inc. (NASDAQ: HMNY), announced MoviePass Ventures, a wholly-owned subsidiary founded to co-acquire films with film distributors. MoviePass is currently purchasing approximately 3% of domestic box office. However, it is purchasing in excess of 10% of a particular title’s domestic box office when it uses a series of levers within its app and marketing-based platform to impact a consumer’s selection of a particular independent film. Examples of having impacted 10%+ box office performance include: The Post, Three Billboards Outside of Ebbing, Missouri, Call Me By Your Name and The Shape of Water. Other Ancillary Streams including Network, cable, airlines, hotels, etc. Certain information in this communication contains “forward-looking statements” about HMNY and MoviePass Inc. (“MoviePass”) within the meaning of the Private Securities Litigation Reform Act of 1995 or under Section 27A of the Securities Act of 1933, as amended, and Section 21E of the Securities Exchange Act of 1934, as amended (collectively, “forward-looking statements”), that may not be based on historical fact, but instead relate to future events. Forward-looking statements are generally identified by words such as “projects,” “may,” “will,” “could,” “would,” “should,” “believes,” “expects,” “anticipates,” “estimates,” “intends,” “plans,” “potential” or similar expressions. Such forward-looking statements include, without limitation, statements regarding MoviePass’ business and prospects. Statements regarding future events are based on HMNY’s and MoviePass’ current expectations and are necessarily subject to associated risks. Such forward-looking statements are based on a number of assumptions. Although management of HMNY and MoviePass believe that the assumptions made and expectations represented by such statements are reasonable, there can be no assurance that a forward-looking statement contained herein will prove to be accurate. Actual results and developments (including, without limitation, the impact of the new executive described herein on MoviePass and its business and results of operations, as well as the potential for any future increases in MoviePass’ subscriber base) may differ materially and adversely from those expressed or implied by the forward-looking statements contained herein and even if such actual results and developments are realized or substantially realized, there can be no assurance that they will have the expected consequences or effects. Risk factors and other material information concerning HMNY and MoviePass are described in HMNY’s Quarterly Report on Form 10-Q for the quarter ended September 30, 2017 filed with the SEC on November 14, 2017, in HMNY’s Annual Report on Form 10-K for the fiscal year ended December 31, 2016 filed with the SEC on April 14, 2017, in HMNY’s Current Report on Form 8-K filed on November 30, 2017 and other HMNY filings, including subsequent current and periodic reports, information statements and registration statements filed with the SEC. You are cautioned to review such reports and other filings at www.sec.gov. In particular, MoviePass’ subscription pricing models are new. There can be no assurance that MoviePass’ recent rate of increase in its subscribers resulting from these pricing models will be sustained. Moreover, an increase in the number of MoviePass subscribers provides no assurance that the MoviePass business model will lead to profitability.